Branding significantly increases credibility by creating recognition that donors trust. When a person sees your nonprofit's logo they will immediately feel connected to the cause and be inspired to give. A brand is a feeling summarized by a name and logo. It is important to have a sleek, eye-catching image associated with your organization. However, it is more important to ensure your organization conveys the feeling of hard work and commitment to the cause, every day. When a potential donor sees your nonprofit's brand, they are also making an association to the work your organization is putting forward. What's so great about branding? Since DipJar’s inception, we have evolved as a company and learned a lot about what makes organizations the most successful. We have grown to understand the power of branding and how it can completely transform a product. Nonprofit organizations specifically tell powerful and compelling stories. Consistent, recognizable branding can evoke the emotion that persuades a person to donate. This image was taken from another site offering great tips for nonprofits. Great marketing is all about reinforcing your nonprofit's brand to donors. The more places you can make your brand visible, the better. This means making your brand apparent everywhere from merchandise and signage to marketing and advertising materials. Branding becomes extremely important with point of donation devices. A person will feel more comfortable giving money when they see the logo that makes them feel connected to the cause. The American Red Cross has a simple logo that is recognizable even without the name of the organization present. PBS's brand is extremely recognizable and indicates trusted programming. St. Jude Children's Research Hospital's branding always evokes emotion that inspires people to give. 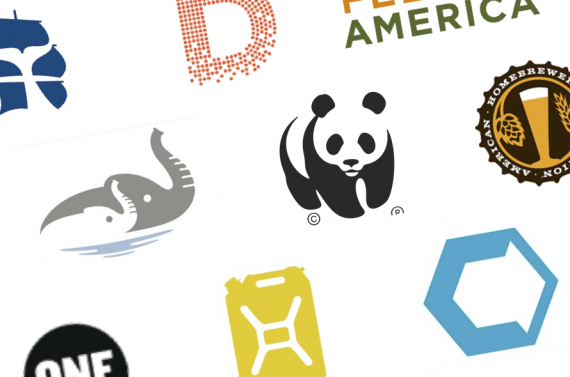 Make sure your organization has clear brand guidelines. This will ensure consistent recognition and credibility. Go out there and unluck the power of your brand!